Based on current research and industrial experience, it is found to be a challenge with “silos” where an asset with several disciplines have poor collaboration and result in sub-optimised outcome in production. A structured approach to tackle this situation is through the concept of Integrated Planning (IPL). 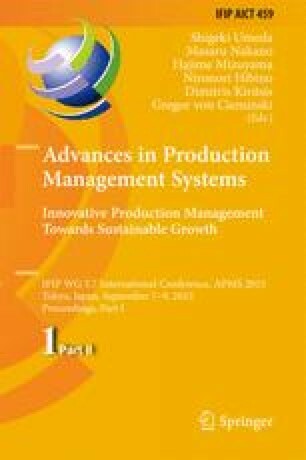 The purpose of this article is through literature study to identify relevant KPIs within both of the disciplines Manufacturing, Planning & Control (MP&C) and Maintenance Management. As a result, Overall Equipment Effectiveness (OEE) is used in both of the disciplines and throughput time is an essential KPI in MP&C. Finally, a KPI structure which integrates MP&C and Maintenance Management is developed in this article.